Confused by the different standards. Baffled by NEM and NMRA and standards orgs? Here’s what you need to know in 30 seconds. 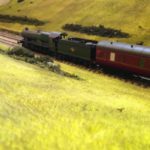 While eBay is a great source of model railway trains and accessories I don’t think of it as a source of learning or information. But it can be. If you look carefully, hidden amongst the listings are some handy articles. 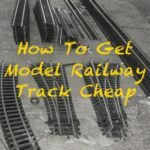 This one is particularly helpful for beginners, and those moving up from the toy / young children’s railways, and confused by the different model railway standards organisations around the world. The NEM standards. Known in the UK as ‘Normal European Modelling’ standards. This is the scaling system used in Europe. The NMRA standards. Equated to the ‘National Modern Railway Association.’ It is the system widely used in the United States and Canada although quite a few of the scaling specifications are matched with the NEM standards. Live Steam. 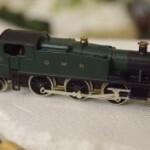 Live steam models are not regulated by an official standards body. 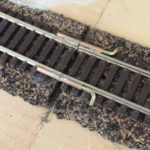 The majority of live steam train models will scale in accordance to NEM or NMRA standards so check individual models accordingly. British. The British system is based on the narrower loading gauge used within the British Isles. 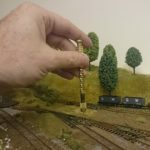 Because of this many British train models are not often found elsewhere in the world. The original article, with a bit more background info is here. 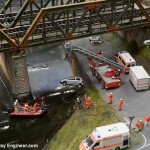 If you’re confused by some of the other terms, take a look at this guide to model railway jargon. Thru The Round Window; layout built by Mark Seward.